Gucci Sunglasses. Size: 57. Shape: Aviator. Lens Width: 57 mm. Lens Bridge: 17 mm. Arm Length: 140 mm. 100% UV protection. Polarized. Frame Material: Metal. 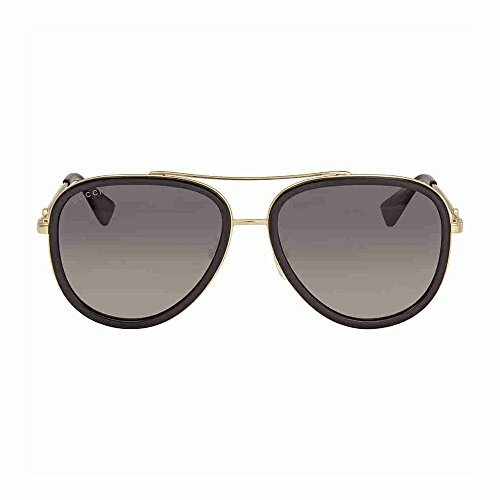 Frame Color: Gold, Black. Lenses Type: Grey Gradient. UPC/EAN code: 889652127811. Gucci Grey Gradient Aviator Sunglasses GG0062S 011 57.